Give a gift voucher for use in our shop. 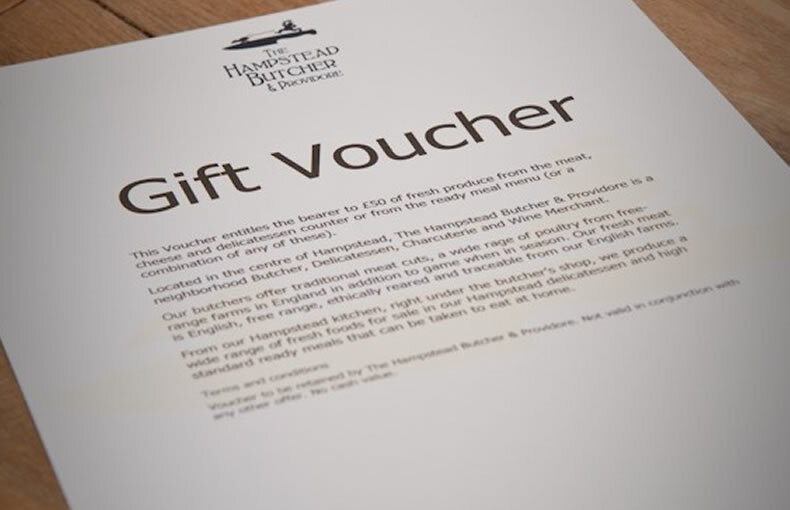 Our vouchers are an ideal gift for any food and wine lover and can be used in exchange for any of our fresh meat, charcuterie, cheese and gourmet oven-ready meals or for wines and any of our wide range of artisan chocolates, cakes, biscuits, jams, oils and any other fine foods. We will arrange delivery of the gift voucher to you or to the recipient.